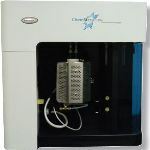 The Pentapyc 5200e from Quantachrome is the ultimate multi-sample gas pycnometer for determining the volume and true density of catalysts, powders, ceramics, pharmaceuticals, building materials, carbons, rock core plugs, etc. 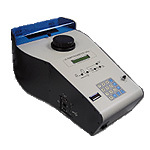 The Pentapyc 5200e gas pycnometer allows the loading and simultaneous purging of up to five samples. Automatic analysis in sequence is done without any operator involvement for each of the five samples. Balance (RS232), PC (ethernet) and printer (USB) connections are standard. A second USB port permits archiving of results to flash (thumb) drive. 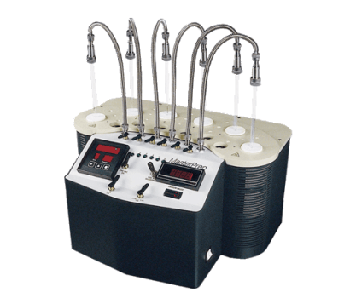 For laboratories with fewer density analysis needs, the single sample station Ultrapyc 1200e gas pycnometer offers the same ease of operation and high performance as the Pentapyc, with the additional option of vacuum purge (vacuum pump not included). 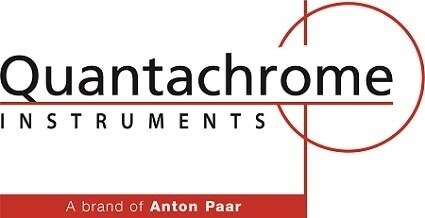 Both the Ultrapyc and Pentapyc are available in "-T" versions to be used with an external thermoelectric temperature controller.